Ohhh yes. I did it. 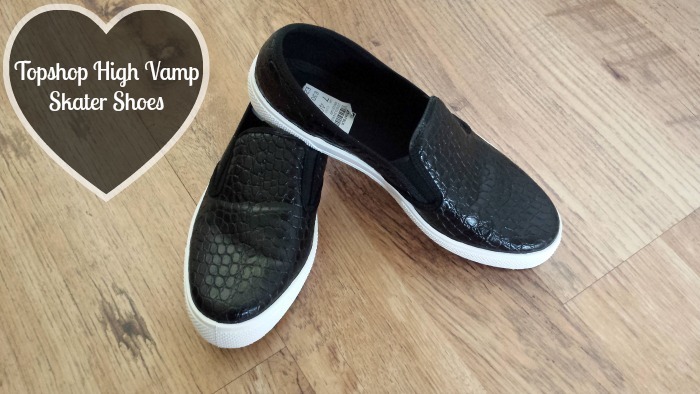 I jumped on the bandwagon and bought these amazing Black Crocodile Print Skater Shoes! 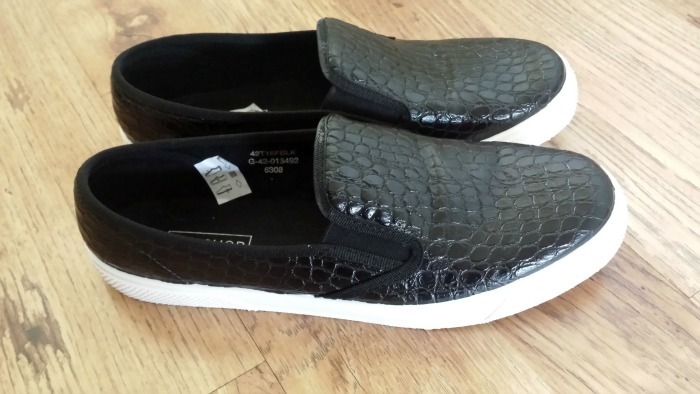 Dupes for the likes of the Céline and Kurt Geiger skater shoes that everyone wants, these puppies are very similar and an absolute bargain at only £20. Thank you Topshop, you've done it again! I think they're perfect for the summer, paired with skinny jeans and a casual tee! There's a little issue with the sizing, though. I originally bought these in my usual size (6) and they fit in the shop, but the ends are really narrow, which made my toes feel cramped together when I tried to walk around in them at home. I returned them and picked up a 7 and they're fine. Just something to keep in mind. These shoes also come in burgundy & silver, as well as fur and tartan. I want them allllll!! Have you picked up a pair of these bad boys yet?